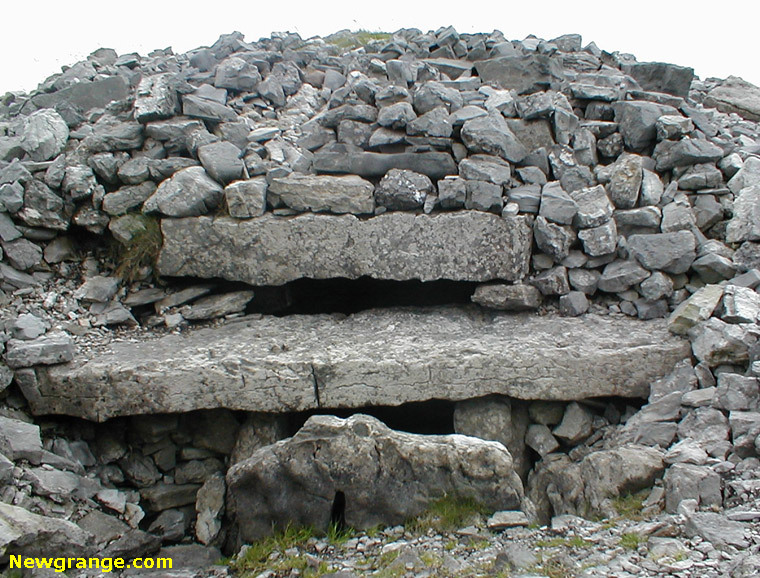 The Carrowkeel cairns are in the Bricklieve Mountains in County Sligo (north west of Ireland). Cairn G has a roofbox above the entrance, similar to Newgrange. 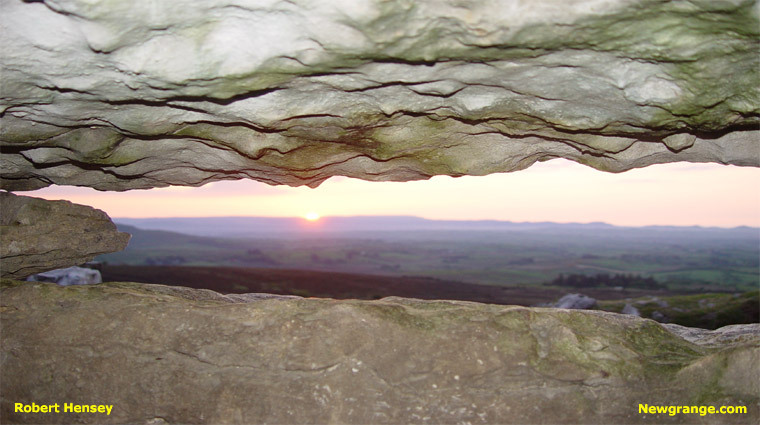 The sun enters the chamber through the roofbox at sunset for about a month before and after the summer solstice. For the days around the summer solstice the sunset illuminates the back of the chamber. Carrowkeel Cairn G is smaller and less sophisticated than Newgrange, the passage is 2 meters long compared with 19 meters at Newgrange. Photographs of the setting sun from Cairn G on the 20th June 2008. 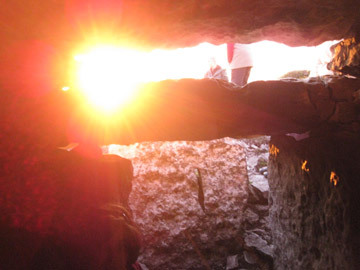 Carrowkeel Cairn G - The Summer Solstice sunset enters the chamber through the roofbox. Observing the Summer Solstice Sunset through the roofbox from inside Carrowkeel Cairn G.